Logic suggests that the present performance of a company is a good indicator of its potential future impact. Nowhere is this clearer than in the area of employee safety. Employees are closest to a company's business activities and therefore, usually the first to experience any negative effects caused by such operations. If a company is not hurting its employees, it is also very likely not hurting its neighbors or the environment. With this in mind, consider that the overall safety performance of Gargi is one of the best in the foundry and chemical industries. 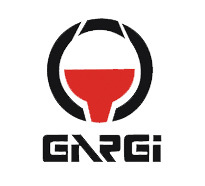 Gargi�s Health and safety programs are designed to reduce and manage risks, and to promote the safe production, distribution, use and disposal of its products. The risk for each specific chemical is based on scientific analysis of the hazard it poses and its likelihood of exposure to people or the environment. The products are evaluated and prioritized for potential adverse effects. Risk reduction practices are then implemented. These may include, for example, requiring employees to wear personal protective equipment during certain work tasks, and providing technical support to new customers to promote safe handling of our products. Communication is an important element of the product risk assessment process. Gargi promotes safe production and product handling and use through training and detailed information.